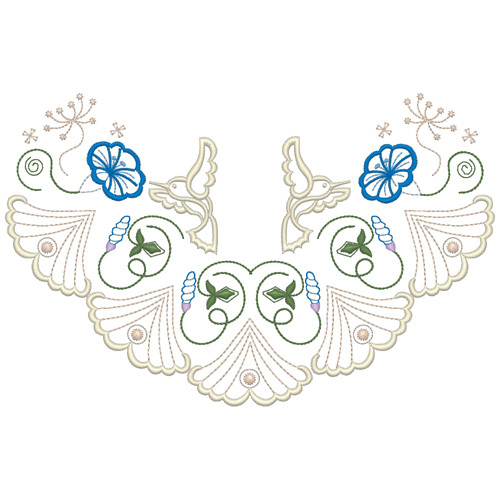 Whilst digitising the Morning Grunge collection I had noticed that with some editing the wings of the hummingbird would make a lovely scalloped edge. 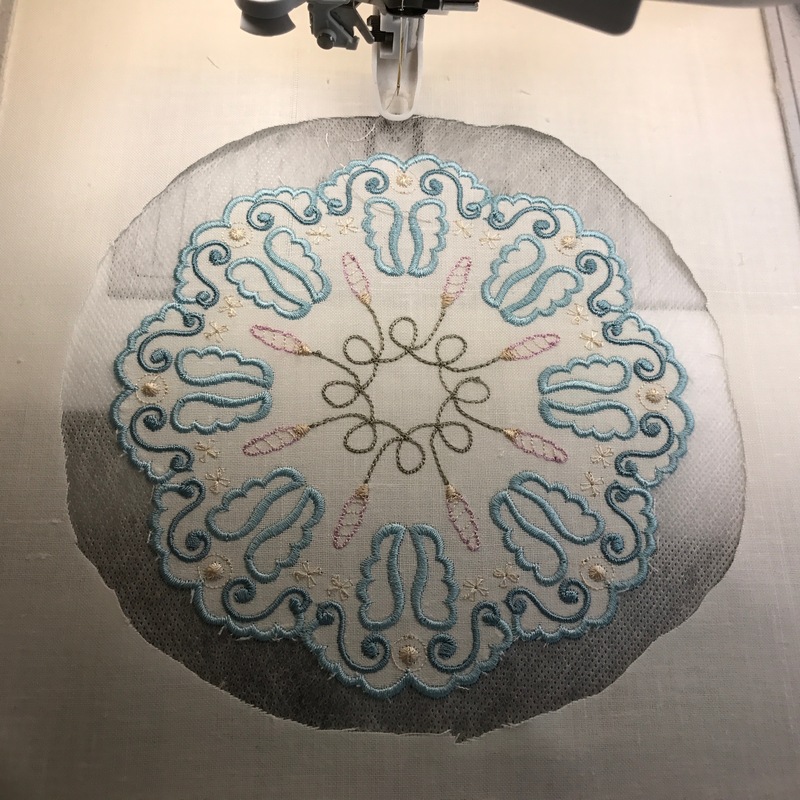 For the third set which has been created for 6″ wide hoops, I have used this edge to create a round scalloped edge coaster with just morning glory buds inside…. Needing a coaster for one of my bedroom the colours needed to be changed to compliment those in the room. I replaced Sulky Rayon 40wt 1022 Cream with 1204 Pastel Jade and 1151 Powder blue tint with 1205 Medium jade, along with 1508 Putty instead of 650 Moss green for the stems. 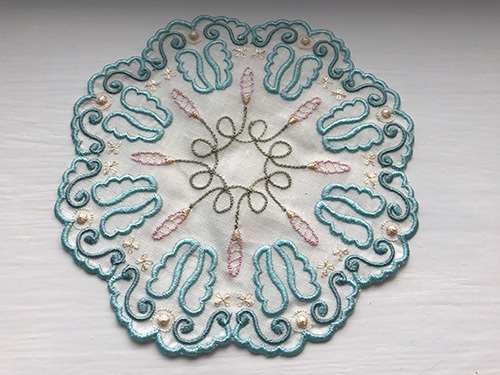 In deciding which of these to use I opted for the lighter shade for the main scallops and the slightly darker shade for the small scrolls as these cover a smaller portion of the mat. Obviously for scallop work you need to think out how you are going to do this. 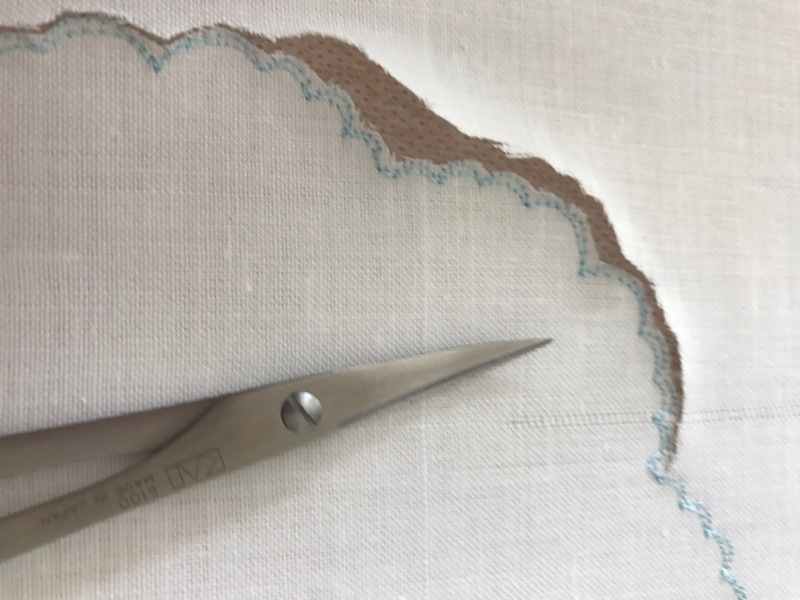 The first colour way stitches out the underlay of the scallops so you need to carefully cut around the outside of these, leaving your stabiliser underneath in place to support the embroidery. Don’t rush this process and be sure to use the sharpest of scissors for the best results. 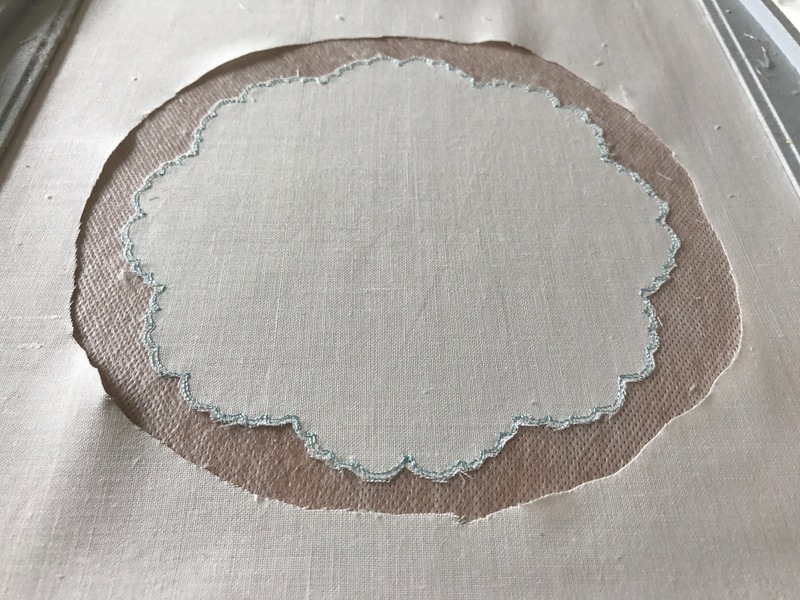 Then the satin stitches are added neatening the edges. Although daunting the first time you do this, the results are incredibly satisfying! 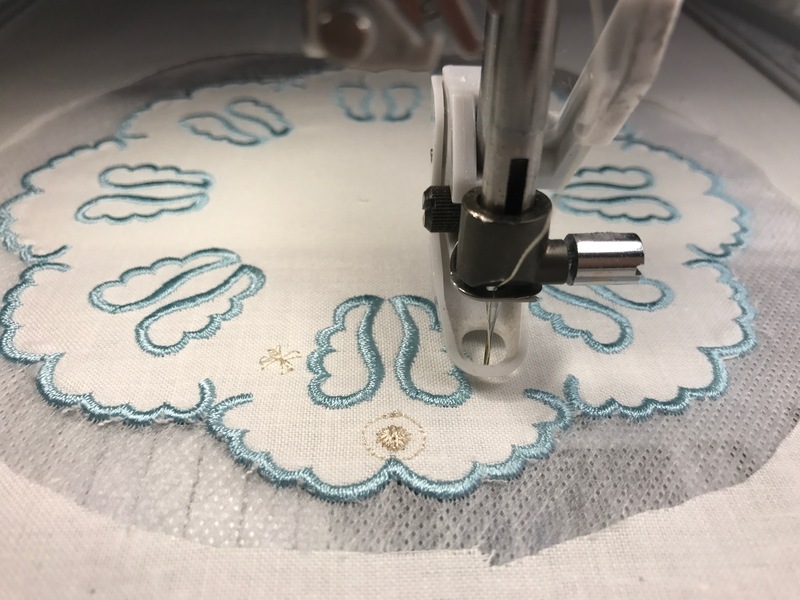 Any tail ends that protrude from the satin stitches can be trimmed away afterwards by using tweezers and sharp scissors, under a lighted magnifier. 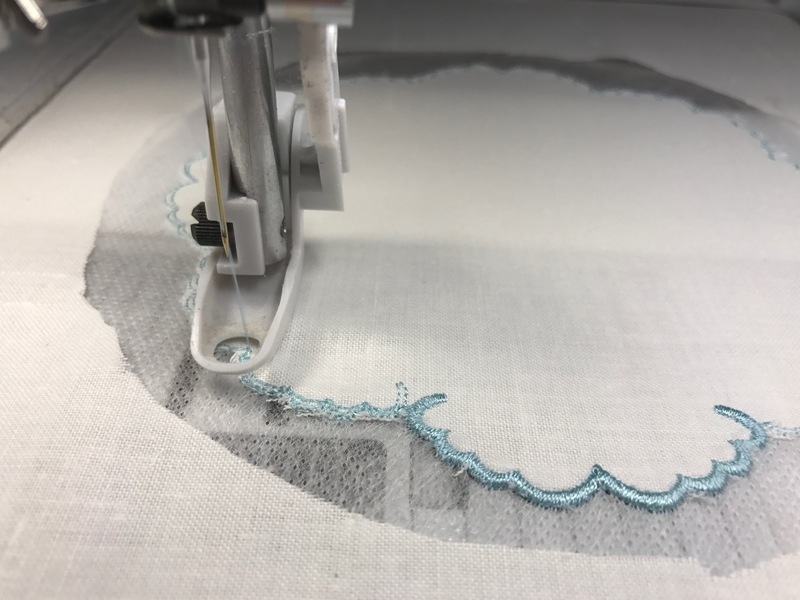 Once the embroidery is completed the stabiliser it is best if the stabiliser can be washed away giving a better edge than tearing or trimming it away. 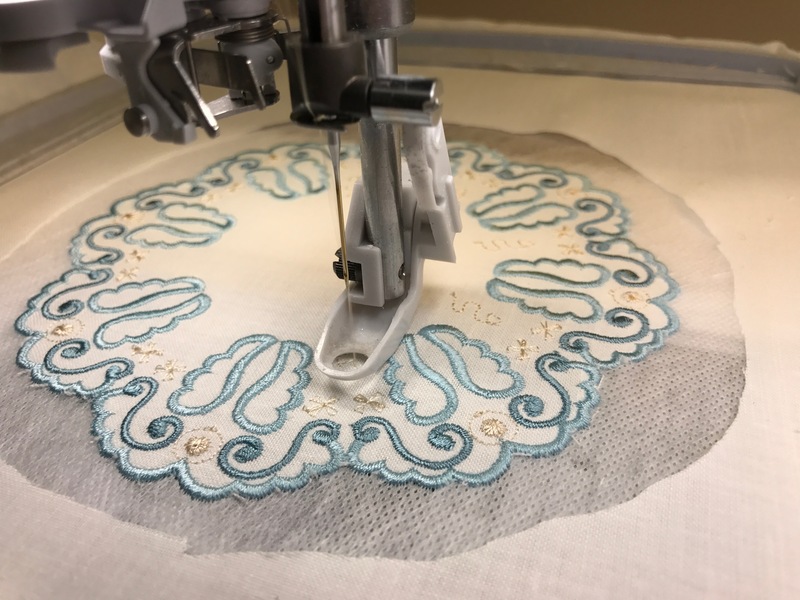 Obviously if you embroider on silk this is not possible, and a heat away stabiliser should be used. For my stitch out I used cotton fabric as I wanted the finished coaster to be washable. I used Floriani wet and gone stabiliser. There will be a larger oval coaster to match this one, in the fourth set for 12″ x 8″ hoops. 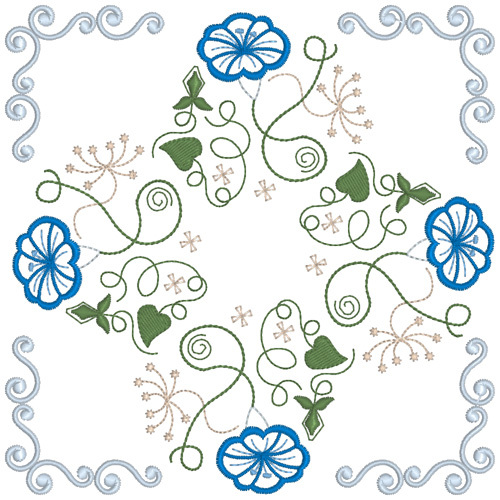 Here are a few other designs in this set, a quilt block. 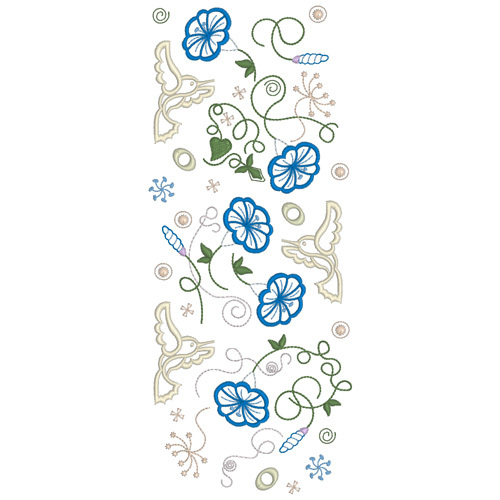 This is a vertical panel which I felt was necessary for those of you who will make a Morning Grunge quilt! 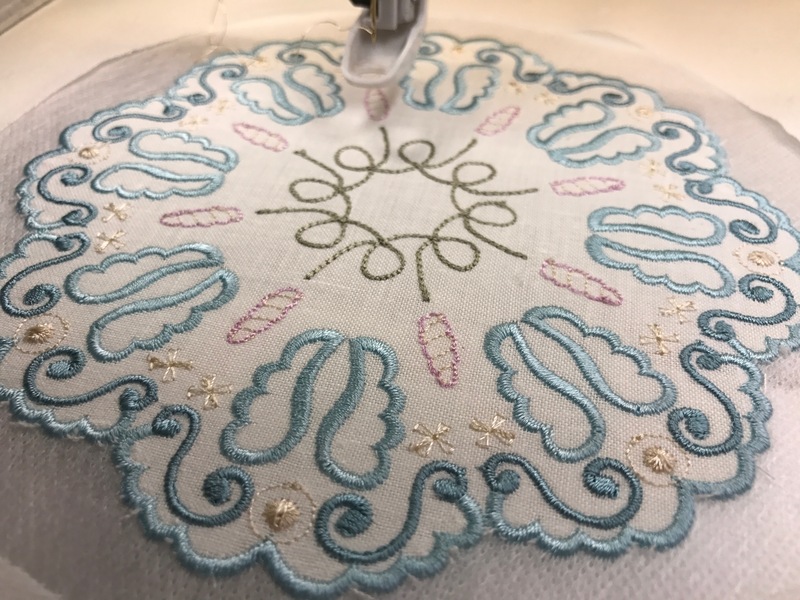 This entry was posted in Discussing machine embroidery and tagged machine embroidery, Scalloped edges, wash away stabiliser. Bookmark the permalink. I think the free set for the birthday celebration should be call Birthday blooms and and more. only 1 and (Birthday Blossoms and More) that should have said.